MD Metals, Inc. provides superior edge conditioned products on material .500″ to 18″ wide with a focus on heavy gauge material. We can provide a full round on material up to .250” thick and a safety/deburred or full square edge up to .400″ in coil-to-coil and up to .375″ thick in custom length bars. 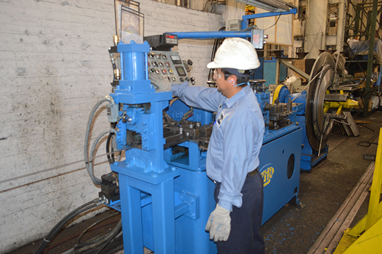 Most of our edging capabilities go up to 10″ but we can de-burr material coil to coil up to 18” wide. 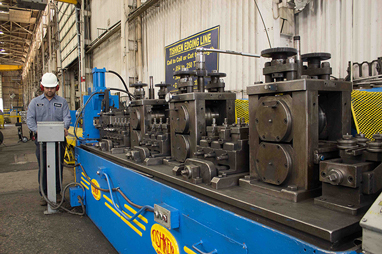 We have Tishken Edging Lines that allow us to provide the highest quality cut-to-length and coil-to-coil services for our customers. We can provide these edges: no. 1 full round edge, no. 1 square edge, no. 3 slit edge, no. 4 round edge, no. 5 de-burred edge, no. 6 square edge. To learn more about our edge conditioning capabilities, call us today at: 708-728-0005, or contact us today!